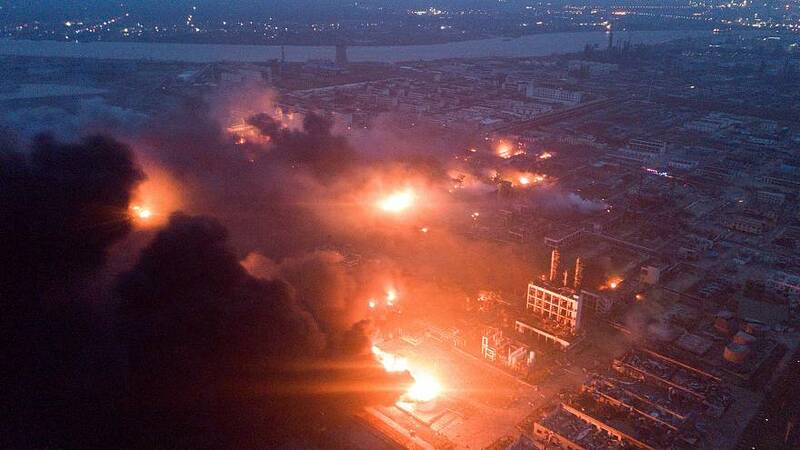 The fire broke out in a pesticide plant in Chenjiagang Industrial Park in the city of Yancheng, in eastern China's Jiangsu province, leading to the blast, which happened at around 14:48 (20:00 CET) on Thursday. The cause of the incident is under investigation and the company - which produces more than 30 organic chemical compounds, some of which are highly flammable - has been cited and fined for work safety violations in the past, the China Daily said. The blast at the Tianjiayi Chemical plant in the city of Yancheng is China's worst industrial accident in years, with nearly 1,000 area residents moved to safety as of Friday as a precaution against leaks and additional explosions.